Note: This formula has been made with potassium sorbate and benzyl alcohol to prevent yeast, mold, and bacteria growth. Because they work in a low pH environment, citric acid and lactic acid are added. The amounts of preservatives are low, between 0.1% and 0.2%. The active ingredient ammonium molybdate remains the same, with the concentration of 25 mcg of elemental molybdenum per serving. 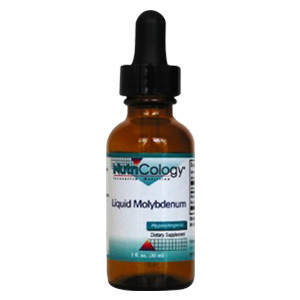 Molybdenum (as Ammonium Molybdate) 25 mcg. Other Ingredients: Purified water, lactic acid, citric acid, potassium sorbate, benzyl alcohol. 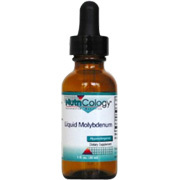 Molybdenum Liquid is shipped in a discrete, unmarked package. Orders are processed immediately and usually take about 3 to 5 working days to be received. We do ask that you try it for 2 to 3 weeks to feel the full effects. Any information received is used only for order processing and shipping purposes. Your information, such as e-mail address, will never be disclosed to a third party.